The Ancient Order of Hiberians – another Catholic men’s association – will be sponsoring The St. Patrick’s Day Parade here in Louisville. The AOH have offered the Louisville area Knights of Columbus an opportunity to benefit from their event. They need people to help with crowd control. It’s neither complicated nor difficult. It consists of making sure that folks stay safely away from the horses and floats along the route. If Law Enforcement is required at any point all you need do is motion for the closest Law Enforcement Officer to come over and take care of the problem. What’s in it for us? The AOH will pay our Council $15.00 per hour for every hour worked by one of our people, with a guaranteed minimum of 4 hours per person. (It’s cheaper than paying a lot of extra law enforcement and that means more money can be funneled toward charitable uses for both KofC & the AOH.) Knights, their spouses and children 16 years old and older qualify. Here is an opportunity to get out, enjoy the parade, have some fun and earn some monies for our Council. The parade is Saturday March 9th, and participants will need to be on-site by 2:30PM. If you would like to participate I need to have the names of participants from our Council turned in prior to Friday, February 22rd. Please email me back the names of anyone in your family who would like to participate so that I can get their names turned in. Generate minimum of $60.00 per Brother for StMM Council Charitable activities on a March afternoon AND a front row view? If only 10% (9/90) participated we could generate over $500.00 in StMM Council funds in one afternoon at a longstanding fun Louisville annual family charitable event, which you may be planning on attending anyway!. Please read Mount Mercy Council #14604 GK Patrick Murta's MSG below and either contact Bill Moriarity (502) 794-8188 directly to volunteer or discuss next week at our Thursday, 17 January Council Meeting. As way of an introduction, I am Patrick Murta, GK of Council 14604 in Pewee Valley. You are receiving this email as you are GK or FS in a council in the Louisville District and are in relative proximity to Louisville. I want to make you aware of a unique opportunity to raise money for your council and the charities we support. 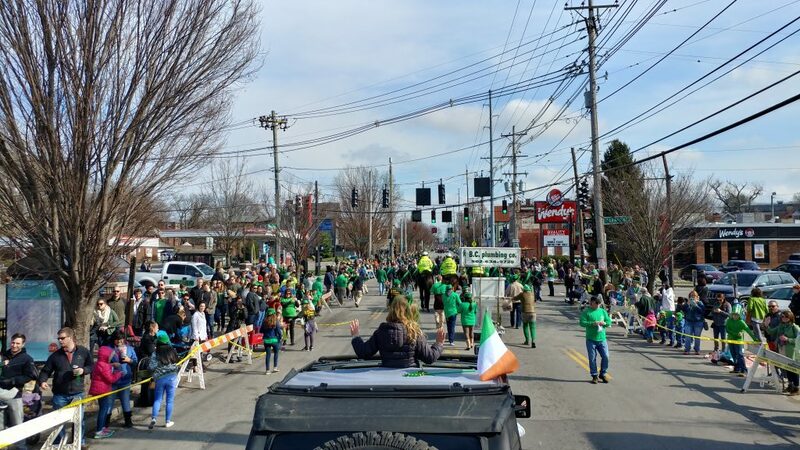 For the last several years, many of our local councils have been providing basic crowd management for the annual Hibernians St. Patrick’s Day Parade. 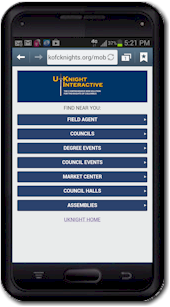 For four hours on that Saturday, Knights provide crowd management such as making sure folks don’t run in front of a parade float or kids don’t chase candy or trinkets into the street. For every Knight from your council who participates, the Hibernians will donate $15 per hour with a guaranteed minimum of four hours. That means if you have 10 Knights help, your council will receive a donation of $600. The more Knights your council provides, the more donation money your council receives for use in the charitable activities we Knights support. However, that is only the beginning of how this helps our charities. Since we are offsetting the cost that the Hibernians would ordinarily pay local police or a security firm, those savings are used to support the same charities that our councils support! The Hibernians, of which I am a proud member, are a Catholic Charitable organization just like the Knights and both groups share a common lineage with our founder, Father Michael J. McGivney. Last year, this combined catholic effort resulted in more than $2,200 being donated to our councils and over $10,000 in savings to the Hibernians which was then donated to the same charities we support. This is a win/win of over $12,200 for our catholic organizations and the charities we support. I ask that you please discuss with your council and plan to join us on March 9th. I ask that you please respond to this email to indicate if your council plans to participate. As we get closer, I will be providing additional information and asking for names of volunteers so that we can be sure to know exactly how many to expect. If your council prefers not to participate, please let me know and I will remove you from future mailings this year. It is also critical to understand that if a Knight does agree to volunteer, we really need them to show up since a failure to have volunteers could results in less than adequate coverage on the day of the parade. Please let me know if any questions. Also, I will be happy to come present this material at your council meetings any time in January or February so please respond back and let me know if that helps and we will schedule it. I have included some additional details below for you to review. Again, please reach out if you have questions. This event, and our participation, grows every year and I am very excited that we will do even better than last year in support our charitable causes! Knights have the best views of the parade and this is an enjoyable event! You received this message because you are a member of Knights of Columbus Saint Margaret Mary Council # 15979 in Louisville, KY. If you have questions, comments, or concerns please contact the current Grand Knight or Financial Secretary.